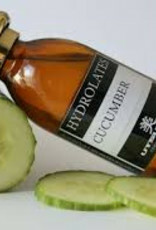 Cucumber hydrolate is widely used in various skin problems, including swelling around the eyes, age spots and sunburn. It has anti-inflammatory property's and keeps the skin supple, soft and full. 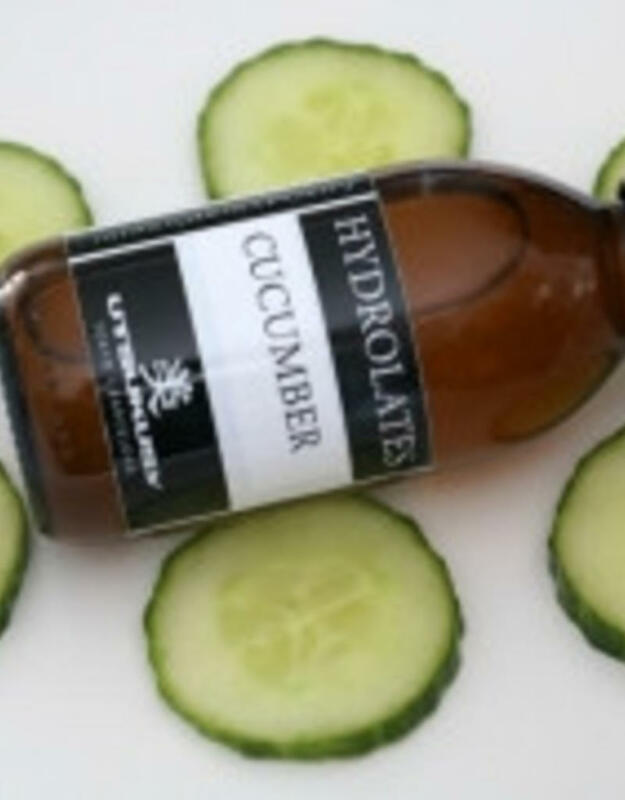 The ascorbic acid and caffeic acid in the cucumber hydrolate prevents water retention and that could explain why cucumber hydrolate helps against swollen eyes, burns and dermatitis. Cucumber contains vitamin C, silicon, potassium, and magnesium. Oily to sensitive skin; cucumber hydrolate offers softness and healing for all skin types. The skin is optimally hydrated and the elasticity of the skin is increased by the regular use of the hydrolate. 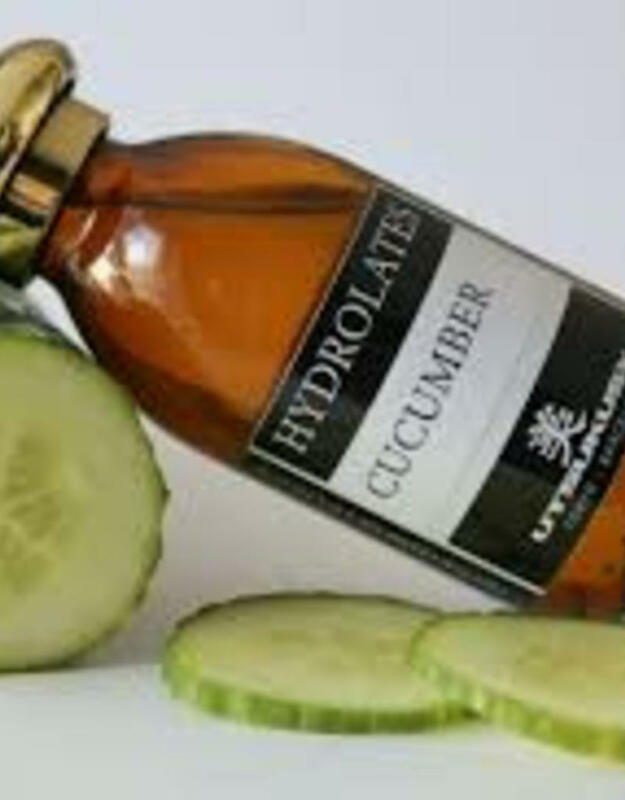 With daily use cucumber hydrolate prevents stretch marks and reduces pigmentation spots. 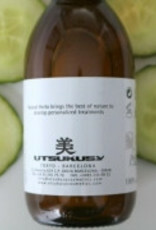 In addition, cucumber hydrolate is cooling and diuretic with swollen feet and ankles. This beautiful product can not be missed in the daily care during pregnancy. 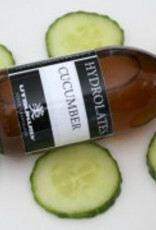 Cucumber hydrolate is smooth and refreshing and is also suitable for the sensitive baby skin. 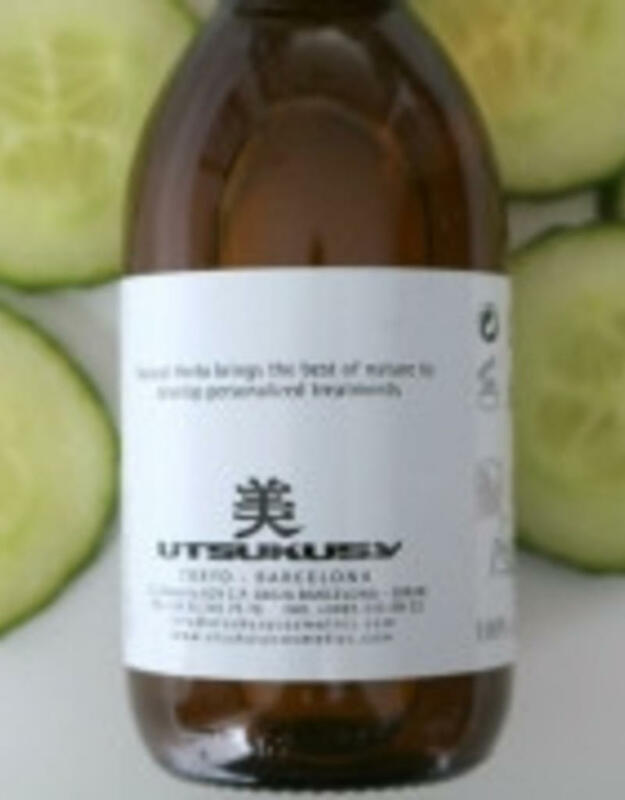 Cucumber also has a slight diuretic effect and is good for the digestive system. It lowers blood sugar. Cucumbers originally came from South Asia about 10,000 years ago. Cucomber came from India into the ancient civilizations of Egypt and from there to Greece and Rome, where cucumber was used not only as food but also for its skin healing properties. In Japan, the cucumber has been popular for centuries and is now a member of a famous legend. Small mythological water samples, 'kappa', are fond of cucumbers. To keep them to a friend, family wrote their name on a cucumber and threw them into a kappa-pond.